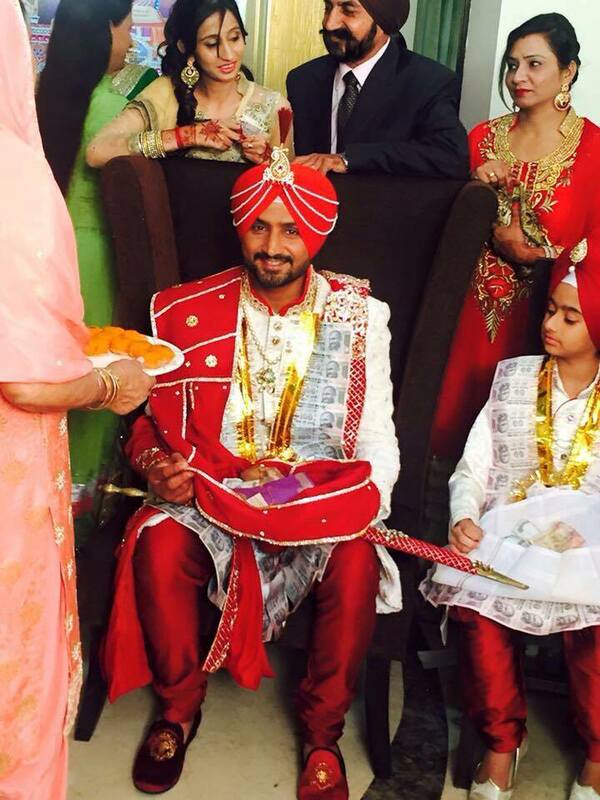 Harbhajan Singh-Geeta Basra are a married couple now! 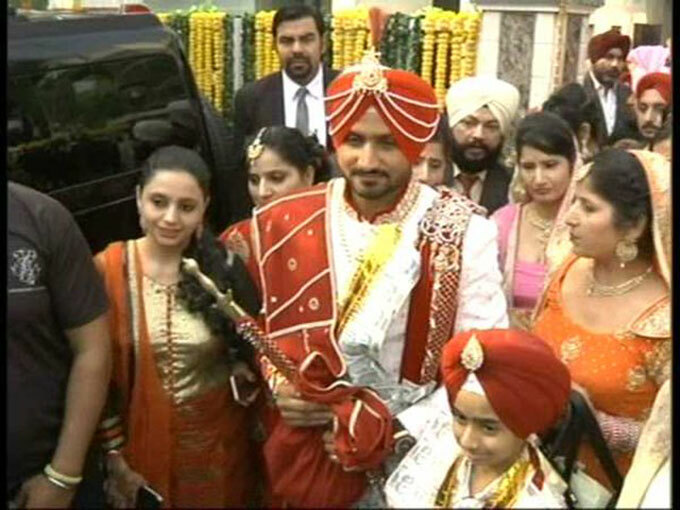 They tied the knot in Jalandhar yesterday evening. We brought to you the exclusive pictures from the Sangeet and Mehendi ceremony yesterday. And we are again with their Wedding pictures! 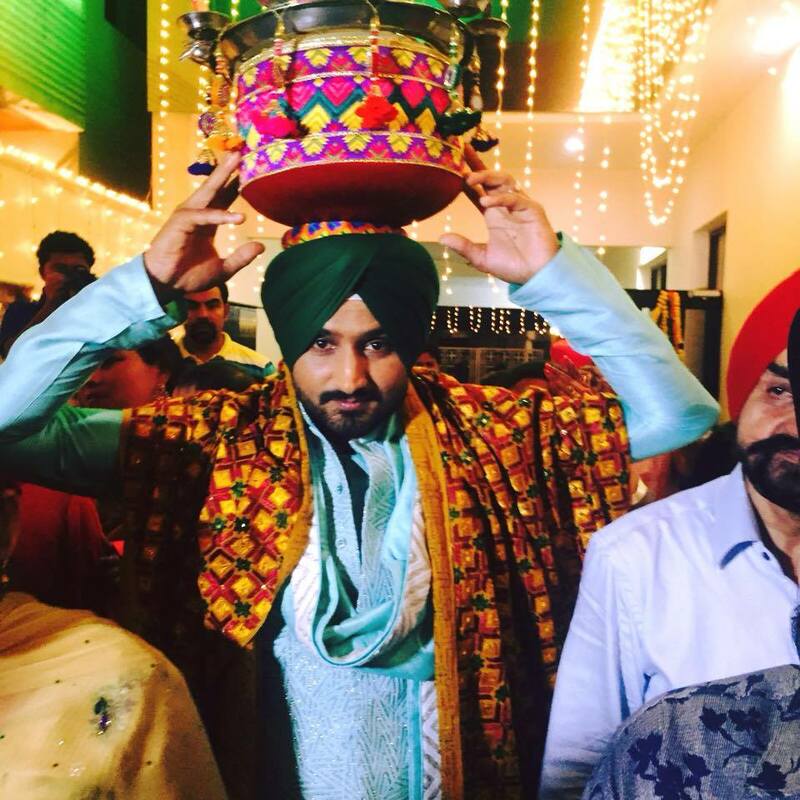 Bhajji all set for the wedding with the ‘Sehra’! 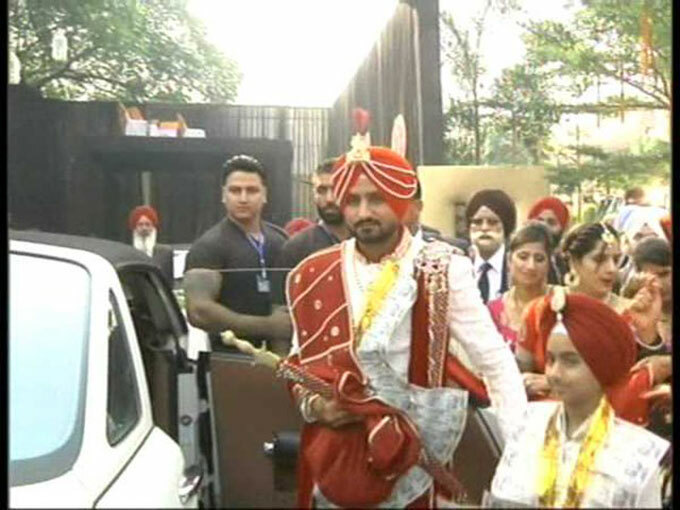 Bhajji reached the venue in a royal Rolls-Royce! They do look amazing together! Apart from Sachin, the wedding was attended by Mukesh and Nita Ambani’s son Akash. 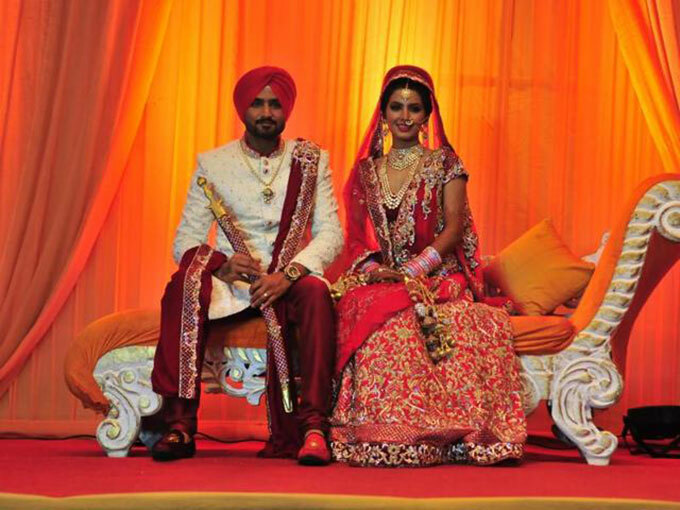 Their wedding outfits were styled by designer Archana Kochhar. 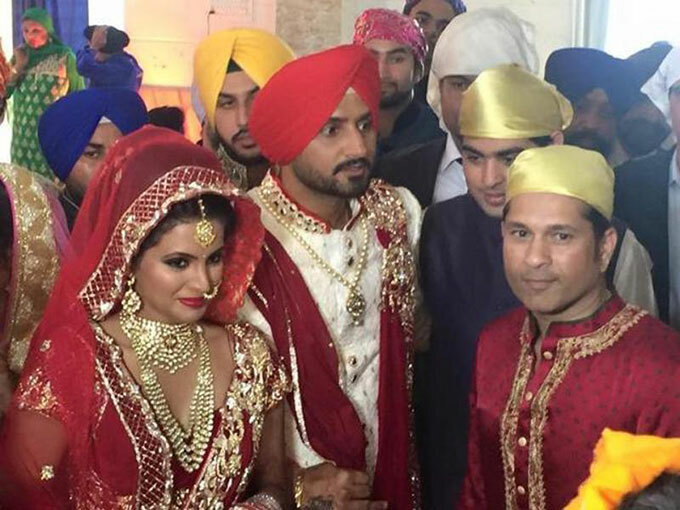 The couple will host a reception in New Delhi on Sunday, November 1 at Club Cabana. Many congratulations to both of them from Team Blogtobollywood! !